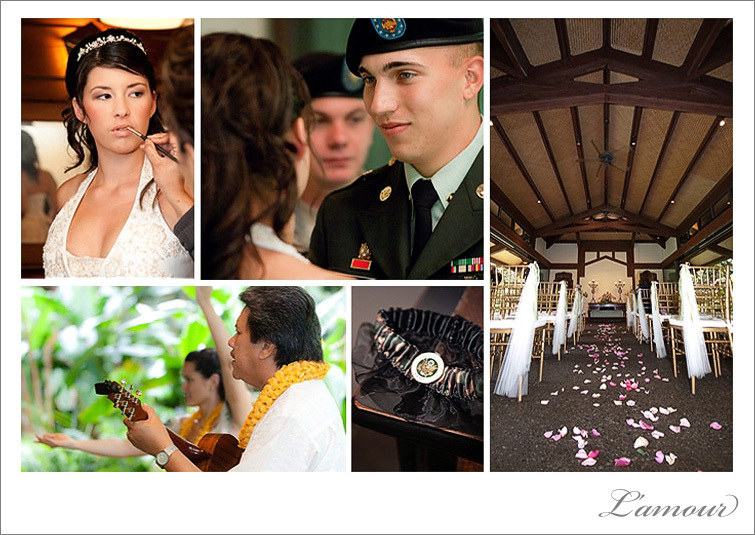 Jessica and Joshua were married in a beautiful ceremony at the chapel at Haiku Gardens in Kaneohe, Hawaii. These newlyweds were high school sweethearts and exchanged touching vows that chronicled their lives over the years. We took some preparation photos of Jessica getting her gown laced up by her mother and maid of honor and getting her makeup retouched then headed down the hill to the chapel. The ukulele player and hula dancer set the mood for this sweet ceremony. We are very excited for this cute couple and wish them the best! This entry was posted in Engagements, Events, Hot! 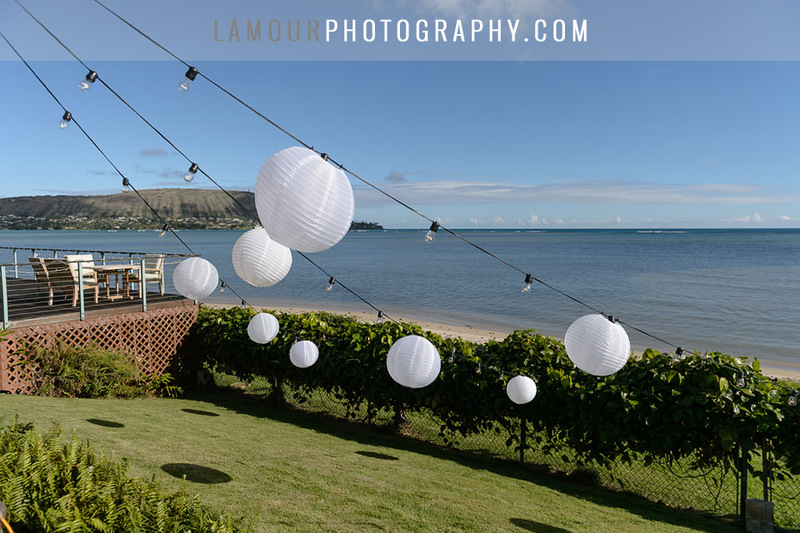 Wedding Ideas, Locations, Venues, Weddings and tagged Bouquet, ceremony, Chapel, Gazebo, Haiku Gardens, hawaii, Military, Oahu, Venue. Bookmark the permalink.